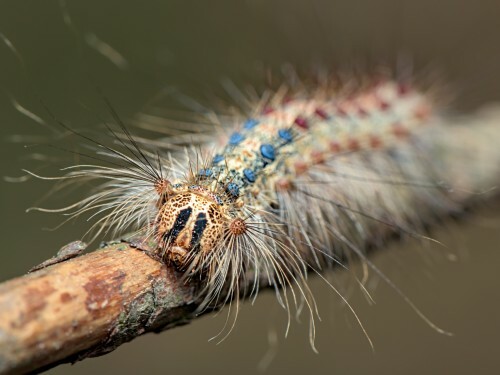 Tip 1: Gypsy Moth Surge: Ohio has experienced a resurgence in the gypsy moth over the past two years. The gypsy moth is a non-native pest that feeds on leaves and needles of over 300 different trees. The damage gypsy moths do occurs in the spring and early summer when populations are present. Some of the hot spots include Marion and Lucas counties. The Ohio Department of Agriculture will host a series of meetings in February to discuss aerial treatments planned for this spring. Amy Stone, an educator with Ohio State University Extension, can address questions from the media about the prevalence of the gypsy moth and the problems it has created. Stone can be reached at stone.91@osu.edu or 419-392-1308. OSU Extension is the outreach arm of The Ohio State University College of Food, Agricultural, and Environmental Sciences (CFAES). Tip 2: Cows Under Stress: The significant rainfall in 2018 and precipitation so far this year has put stress on cows that have to contend with extensive mud. It takes a lot of energy to trudge through and stay warm in mud, leaving some producers concerned that their cattle aren’t gaining enough weight. Also, the heavy rainfall last year delayed harvest of hay, and hay harvested late can be lower in nutrients. Thinner cows are at risk of having weak or stillborn calves and of not being able to produce sufficient milk for their offspring. Managing a cow herd over the winter is the topic of Ohio Beef School on Feb. 5, a webinar hosted in various Ohio counties. The media can contact John Grimes with questions about the impact of the weather on cows. Grimes, beef coordinator for OSU Extension, can be reached at grimes.1@osu.edu or 740-289-2071. For more information on Ohio Beef School, visit go.osu.edu/Ohiobeefschool. 28 Agricultural Outlook Meeting, 6–9 p.m., Jewell Community Center, 7900 Independence Road, Jewell, Ohio. Discussion of issues and trends affecting Ohio agriculture. Speakers will be Ian Sheldon, Ben Brown, and Aaron Wilson from OSU Extension and CFAES’ Department of Agricultural, Environmental, and Development Economics. Registration is $10 by Jan. 22 and $20 after Jan. 22. Register by calling the Defiance County office of OSU Extension, 419-782-4771. Details: defiance.osu.edu. 29 Food Safety Document Development for Small Food Processors, 9 a.m. to 3 p.m., Cleveland Culinary Food Hub, 7501 Carnegie Ave., Cleveland. Workshop for small (less than $1 million in annual sales) producers of fermented, canned, and other shelf-stable foods. Offers an opportunity for processors to develop their food safety documentation in small groups with individual coaching from instructors. Registration: $25 by Jan. 24. Details: go.osu.edu/ChPZ. 30 Master Gardener Volunteers Training, 9 a.m., the Portage County office of OSU Extension, 705 Oakwood St., Suite 103, Ravenna, Ohio. Registration: $225, which includes all materials. Details: go.osu.edu/Cekd. Application: go.osu.edu/Cekj. 30 Agricultural Outlook Meeting, 9:30 a.m. to 3:30 p.m., Fisher Auditorium, OARDC, CFAES Wooster Campus, 1680 Madison Ave., Wooster, Ohio. Discussion of issues and trends affecting Ohio agriculture. Speakers will be Ian Sheldon, Ben Brown, Barry Ward, Dianne Shoemaker, David Marrison, and Kenneth Burdine from OSU Extension and CFAES’ Department of Agricultural, Environmental, and Development Economics. Registration: $15. Register by Jan. 24 by calling the Wayne County office of OSU Extension, 330-264-8722. Details: wayne.osu.edu. 5 Southern Ohio Specialty Crop Conference, 8 a.m. to 3:45 p.m., Oasis Conference Center, 902 Loveland Miamiville Road, Loveland, Ohio. Offers 15 sessions by CFAES scientists on topics including fruits, vegetables, pests, and cultural practices. Pesticide recertification credits available. Registration: $50. Registration deadline: Feb. 1. Space limited to 75; no walk-in registration available. Details: go.osu.edu/Ch3b. 5 Good Agricultural Practices (GAPs) Training, 12:30–3:30 p.m., Mt. Hope Farmers Produce Auction, 8076 OH 241, Mt. Hope, Ohio. Covers GAPs that reduce the risk of on-farm produce contamination. Available to members of both the Plain and English communities. Preregistration by Jan. 30 is $30. Registration is also available at the door. Details: go.osu.edu/ChQJ or call 330-264-8722. 8 Economic Nationalism and Trade Conference, 8:30 a.m. to 3 p.m., Ohio State’s William B. Saxbe Law Auditorium, 55 W. 12th Ave., Columbus, Ohio. Detailed look at the legal, business, and economic consequences of U.S. trade policy. More than a dozen guest speakers representing a cross-section of expertise. Free. Details and link to register: go.osu.edu/Ch3X. Registration deadline: Jan. 31. 21- March 28 Annie’s Project: Risk Management Education for Farm Women. Offered by OSU Extension in Summit and Portage counties, the six-week program held each Thursday offers in-depth sessions to educate women entrepreneurs so they are prepared to make farm management decisions. Preregister by Feb. 14. Registration is $100 per person and includes all materials and dinners. Registration is limited to 25 women. Details: 330-296-6432 or christensen.227@osu.edu. 23 Spring Workshop: Gardening at Your Doorstep, 10 a.m. to 2 p.m., Williams on the Lake, 787 Lafayette Road, Medina, Ohio. Presentations on herbs, hostas, and keynote by author Debra Knapke called “Simplifying Your Garden Without Diminishing Joy!” Registration: $45 by Jan. 31; $55 after Jan. 31; includes continental breakfast, buffet lunch, and refreshments. Details: 330-725-4911, go.osu.edu/Ch29. 6 Ohio Woodland Water and Wildlife Conference, 9:30 a.m. to 3:30 p.m., Mid-Ohio Conference Center, 890 W. Fourth St., Mansfield, Ohio. Annual conference designed for natural resource professionals and land managers. Registration: $60 by Feb. 21; $80 after Feb. 21. Details: 614-688-3421, go.osu.edu/Ch23. 16 Northwest Ohio Small Farm Conference and Trade Show, 8 a.m. to 4 p.m., Northwest State Community College, 22600 State Route 34, Archbold, Ohio. Designed for beginning and small farm owners. Workshops and seminars taught by OSU Extension professionals and industry leaders will be offered on subjects related to horticulture, farm management, livestock, specialty crops, and more. A trade show will feature vendors unique to small farms. Registration: $60 by March 1; $30 for those under 18; includes lunch. Details: go.osu.edu/Ckyq.